Google is set to announce the next generation of Pixel devices next week and despite already seeing a leak showing the rear of the device, this time a new leak reveals the specs of both the Pixel 2 and Pixel 2 XL. The Pixel 2 XL will feature a curved QHD screen and will be powered by Qualcomm’s Snapdragon 835 processor with either 64 GB or 128 GB of internal storage, which we already suspected. It is said that the screen-to-body ratio will be around 80% and 85%, lending a similar look and feel to that of the Note 8. The Pixel 2 XL will also feature dual stereo speakers but no headphone jack. It appears the Pixel 2 devices won’t see dual rear-cameras but instead retain the single front-facing and rear-facing cameras we’ve seen in previous models. These will be specifically called Pixel cameras though so that could lend some suggestion as to how much focus Google will be placed on the camera functionality. The source also suggests that the Pixel 2 devices will come equipped with an E-SIM that would allow the device to connect to different carriers without the need for a physical SIM. The Pixel 2 XL will have IP67 water resistance and Gorilla Glass 5 and be powered by a 3520mAh battery. The subtle differences of the Pixel 2 over its bigger brother are that it is likely to have a larger bezel and will be removing the headphone jack. 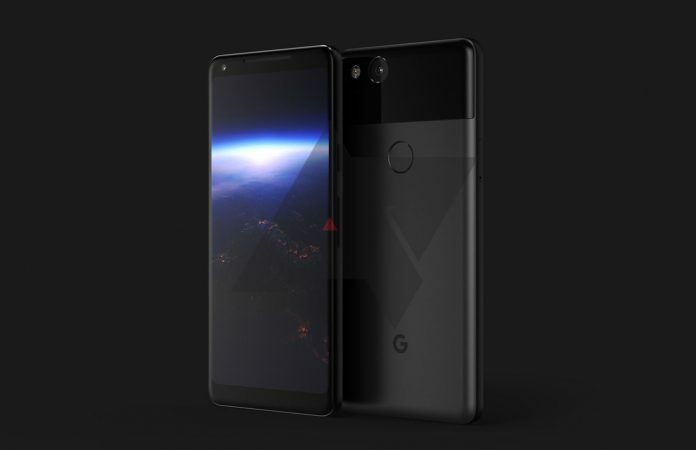 The device will have an FHD screen instead of the curved QHD screen on the Pixel 2 XL and have a smaller 2700 mAh battery given the smaller profile of the device. 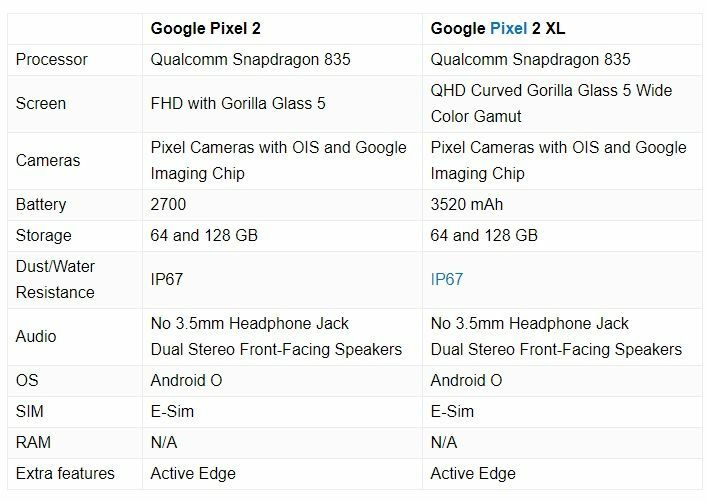 Some of these specs may be surprising while others seem spot on with exactly what we were expecting from the Pixel 2 and Pixel 2 XL. With only a few days left to the event, the devices are certainly shaping up to reveal some interesting features.